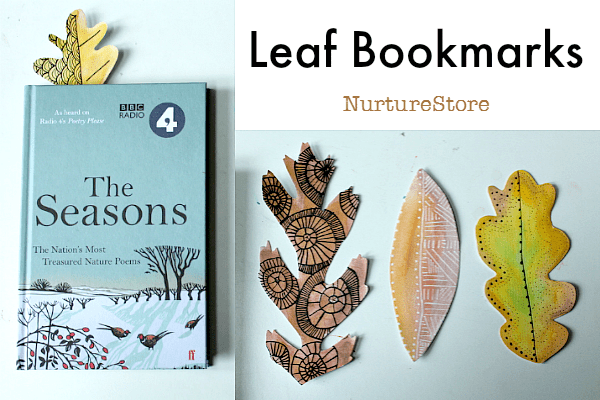 This bookmark craft encourages children to look closely at the shape and colour of autumn leaves. I’m always quizzing the girls when we go on forest walks to see if they can name all the types of trees! We gathered up some of the fallen leaves and used them as the starting point for this art project. We used watercolour paper for this project, which is the best base for the watercolour paints we were going to use, and fairly thick, making our finished bookmarks quite strong. 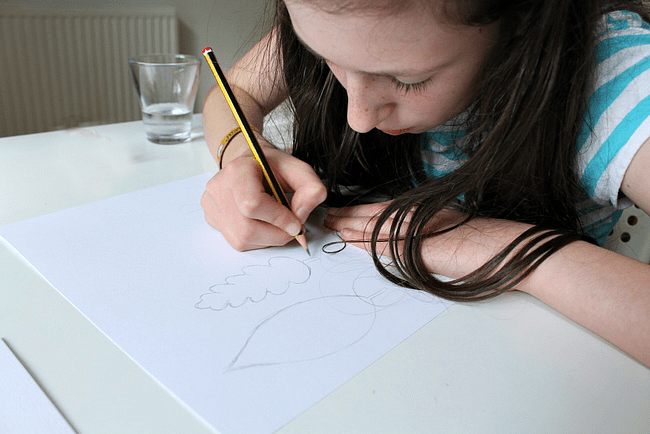 We started by drawing out some leaf shapes in pencil. 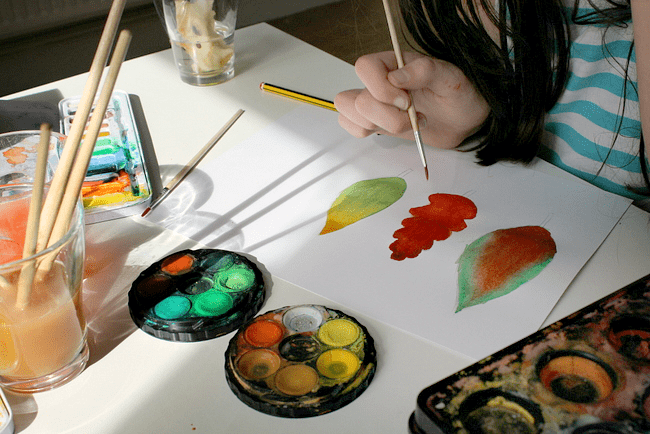 And then we painted in our leaves. You can try to achieve a perfect match with the leaves you have collected, or play around in a variety of autumn shades. There are two interesting variations you can try here. One is to use the watercolour paints straight on to the dry watercolour paper. 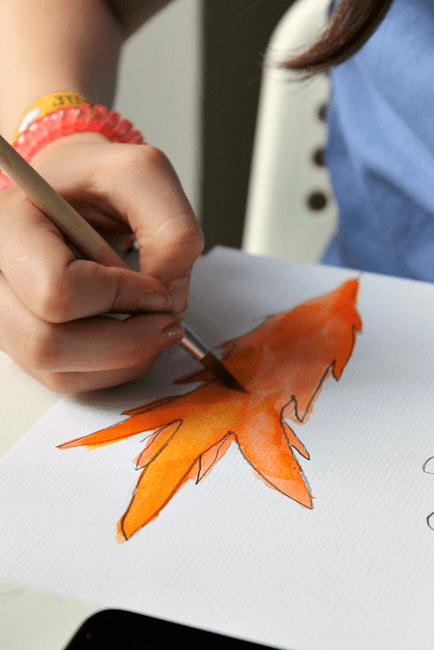 Secondly, you can fill in your leaf shape with water – brushing on the water using a clean paintbrush – and then use water colour paint on top. This is called wet on wet painting and creates gorgeous colour blends as the paint flows around on the wet surface. Give them both a try and see which effect you prefer. 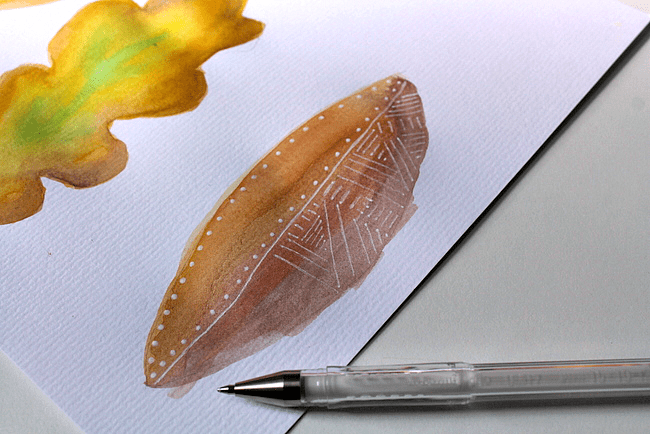 Once the paint is dry you can add geometric patterns on top using pens. We like a Uniball Signo white pen and a Pigma Micron black pen. Do resist the urge to use the pen straightaway (I find this hard!) because you will get so much better a design if you use the pens on a fully dry surface. Have a try with a white and a black pen, and experiment with lots of different patterns. 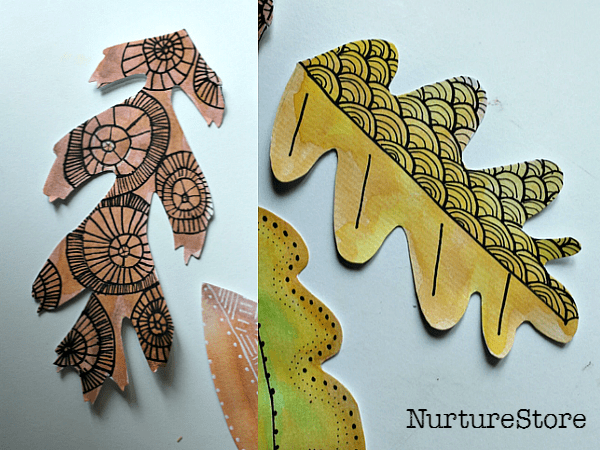 Ours were inspired by the online course we did with Lisa Congdon at Creative Bug: circles, scallops and lines. Do you like the black or the white design better? I love the delicacy of the white, but I think the black is great if you want a bold design. 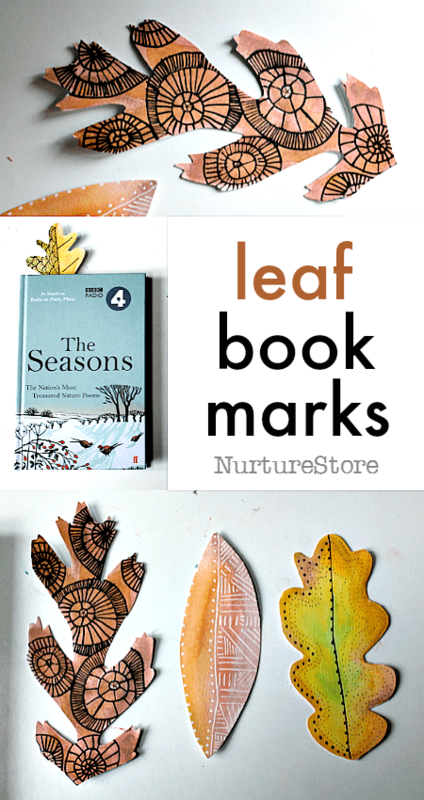 Finally, cut around the outside of your leaves and your book marks are ready to use. We’re using ours to mark our place in our Life of Fred math books, and in The Seasons poetry book which we are enjoying. 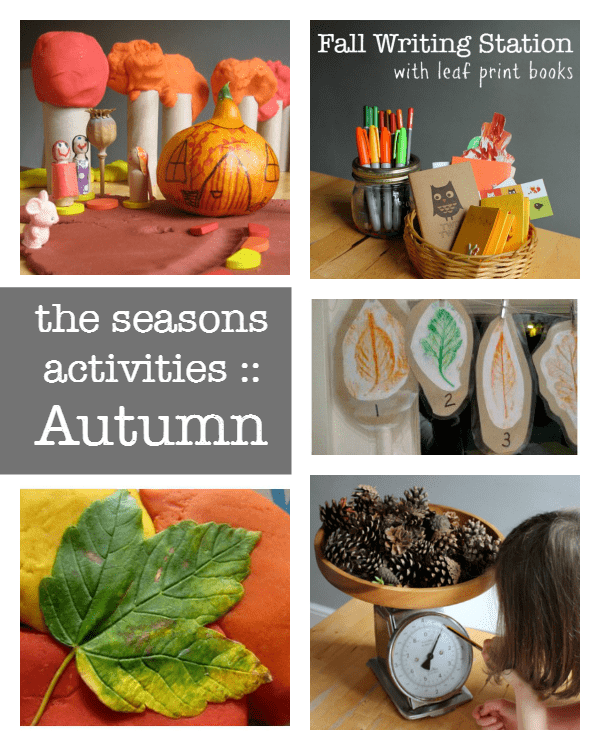 Click through to my guide to learning about the seasons for more autumn activities.